This crochet ear warmer pattern is easy to make in any size you want from a child to adult. Plus, it has a lovely stretch for a nice comfy fit. It is worked up in the criss cross crochet stitch, which gives it a nice texture. Also, the pattern is worked in back loops only throughout, which gives you a nice ribbed texture on the right side. It has a little bit of lace, but it’s still nice and cozy for the cold weather. And although I used Caron Simply Soft, which results in a super soft and stretchy fabric, feel free to use any other yarn and hook size. Just make necessary adjustments to your stitch and row counts for a custom fit. Stretch is very important when it comes to ear warmers, not only because you need them to stay in place, but you also want them to be comfortable. And this ear warmer pattern has just that from start to finish thanks to the foundation single crochet stitch. I find the stitch to be a pain in the neck, but it does pay off in projects such as this. If you are a beginner and find it too difficult, you can always make a long chain with single crochets… just make sure to keep things nice and loose. To go with this ear warmer you may want to check out the criss cross cowl, or the beanie pattern if you’re looking for something a bit more cozy. The crochet ear warmer pattern is very easy to adjust in size in a multiple of two, thus making it great for toddlers and up. If making it for toddlers you may want to reduce the width by doing one less repeat of the pattern rows. Finished Size: Laying flat it measures 9.5″ by 3.25″. All rounds are crocheted into the back loops only. All rounds are joined in both loops. Increase/Decrease the size as needed in any multiple of two. Rnds 4-9: Rep rnds 2 and 3. Fasten Off at last Rnd. 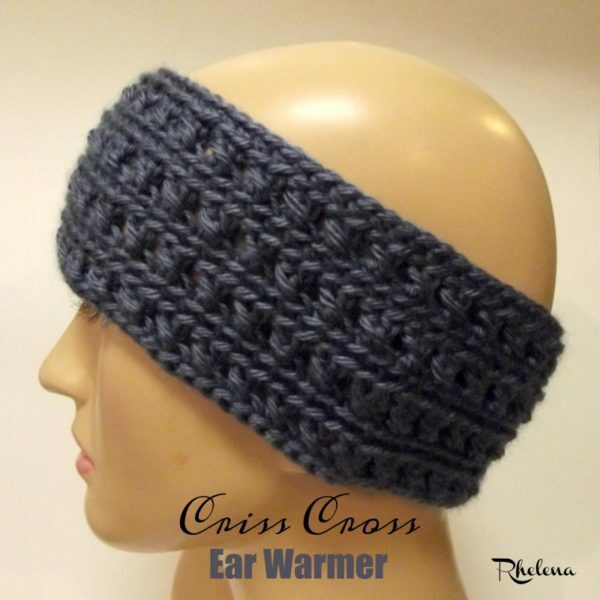 And don’t forget to check out Crochet Pattern Bonanza for more Crochet Ear Warmers.